We provide a variety of furniture restoration and repair services to both residential and commercial clients in Mahwah, New Jersey. Whether you’re looking to have structural repairs done on a particular piece or you’d just like to refinish it, we have a full-service restoration team that can do it all. 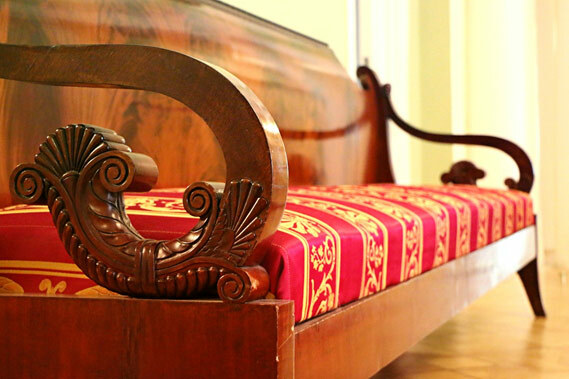 We can restore your woodwork and furniture back to its original state as well as boost its overall appearance. At WoodLord Restorations, we understand the importance of your furniture and the investment you’ve made. We help maintain, repair and restore your items from years of wear and damages. Let WoodLord Restorations breathe new life into your furniture! From regluing loose joints to full reconstruction, we can fix damaged woodwork or all other types of furniture. If your property has recently experienced fire or water damage, we can help restore your furniture back to pre-loss condition. We prepare your items for restoration using supply ionization and ozone treatments and then offer a secure, climate-controlled storage facility. Our team restores items damaged by mold and water, the charring of a fire, or items that have simply broken from heavy usage or accidents. Badly worn surfaces can be revamped with retouching and refinishing services. Deluxing involves machine buffing for desk, tables and conference tables. Precision repairs are also available to mend minor scuffs or inconsistencies in the woodwork. We also offer full restoration and repair services for fabric and upholstered furniture. We know it can be a hassle to take a piece of furniture made from several different materials to different specialty shops, trying to complete the restoration for one chair. We have a full-service shop, meaning all furniture and its associated materials (metal, fabric, etc.) can all be resolved and updated under one roof. 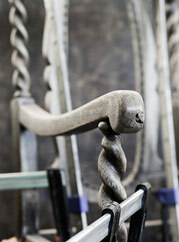 It’s important to us that your piece of furniture is seen as a whole, and is restored like one. Our team of specialists provides exceptional care for precious family heirlooms, antiques, furnishings, and other home or office décor items. Especially when it comes to vintage or other fine furniture, you need a team you can trust to maintain the integrity of the piece during the restoration process. In addition, we have estimators on staff that can give you information on its antique status including the finish used and historical style. WoodLord Restorations also provides on-site facility restoration and commercial services to office buildings, assisted living centers, private clubs, golf facilities, hospitality, or other businesses that require sets of well-maintained furniture. WoodLord Restorations provides experienced and trusted furniture restoration and woodwork repairs in Mahwah, New Jersey and surrounding areas. We’re a local furniture repair and restoration shop with local owners! Call us today or request a quote online for services.